You never know who might show up at Divino’s famous Tuesday night jam in Haiku. But you can be sure of one thing – the cast of characters is sure to be stellar and just might include a star or two. From Willie Nelson to the Doobie Brothers, world famous musicians who are visiting Maui often stop by to jam. It’s the underground gem of the music scene on Maui, but you have to be in-the-know to find it. 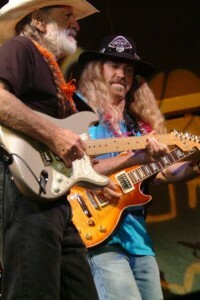 Donny Divino Smith, the host of the event, has toured the world playing lead guitar with greats like Willie Nelson and Jack Johnson. He is a pillar of the community, and a godfather of sorts to local musicians. 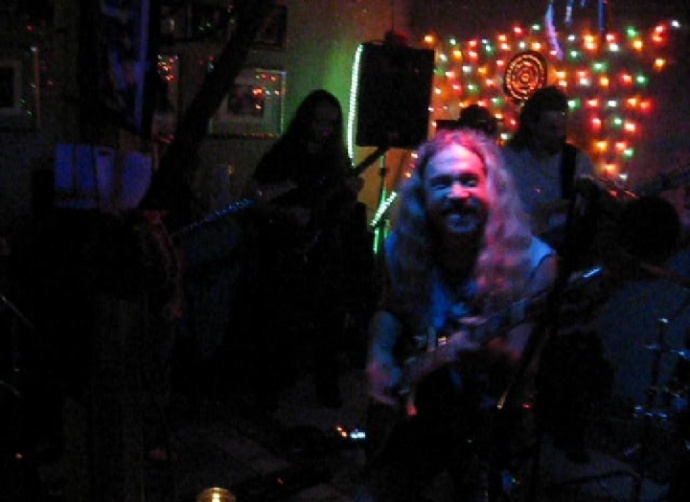 What started off as a casual band rehearsal at Divino’s house quickly became something of a Maui tradition. Nearly every Tuesday night for the last 16 years, a throng of music enthusiasts young and old cram shoulder to shoulder into the room where Divino holds center stage, guiding the flow of guest musicians, and ripping epically inspired solos on a dime. 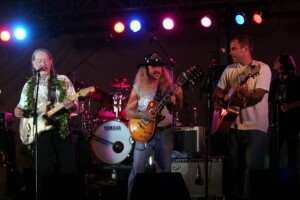 If you crossed an open mic format with the best and brightest backing band on Maui, there you’d have it. To meet Divino is to come into contact with a perfect balance of sheer genius and utter humility. Playing guitar since the age of 10 in Seattle Washington, the prodigy had started his first rock ‘n roll band by the tender age of 11. That’s a solid 43 years of guitar passion all wrapped up in one friendly smiling face. It seems natural enough that dedication like that would pay off. Who knew that Maui was a place to get discovered? Talk about a little Maui magic! You never know who you’ll meet, or what wonderful opportunities may appear while on the island. The music on Tuesdays ranges from psychedelic jam rock, to reggae, blues, funk and everything in between (depending on the musicians, the mood and moon). Stepping into Divino’s music room is like stepping into another world. The vibe is so thick you just sink right in and time dissolves. Tie-dyed tapestries hang from the walls. Massive crystals line the walls. Colorful christmas lights glow dimly. Dancing bodies fill the room. For a Maui experience that is 100% local, 100% roots, and 100% memorably fantastic, do some detective work and try heading down to Haiku on Tuesday nights between 7:30-10 pm. If you’re lucky enough to know someone who can guide you there, you just might stumble upon the greatest treat this side of the island. 😉 Happy sleuthing!